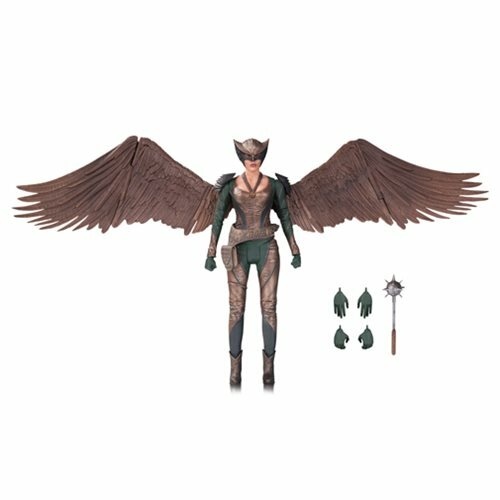 Hawkgirl, the reborn winged hero, soars in as a 6 3/4-inch figure, intricately crafted by DC Collectibles. With dozens of points of articulation, interchangeable hands, and mace accessories, the Legend of Tomorrow, also known as Kendra Saunders, is a fantastic addition to your collection of heroes and villains. Ages 14 and up.